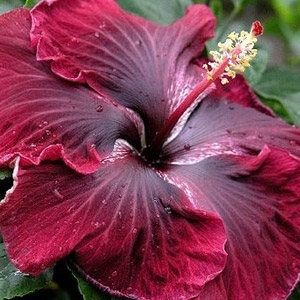 Tropical hibiscus are evergreen plants or shrubs that keep their leaves all year. Flowers can be single or double layers of petals with widths of 3 to 4 inches. Tropical hibiscus need sunny locations and a well-amended, moist soil. When planted, they should be well watered and fertilized. We carry Pink, Orange, Yellow & Red varieties.